Research by Oliver Owen is providing evidence for change in the Nigerian Police Force. Responding to this gap, Dr Owen’s doctoral work involved an institutional ethnographic study of the Nigerian Police Force. He visited 33 sites across the country, including spending 16 months in one division in North-Central Nigeria, using an approach that combined participant observation fieldwork with historical, analytical and interview research with officers past and present. His research focussed on recruitment, training, everyday working practices, morale and structural issues and led to some interesting findings. For example he found that most police cases, except for serious offences, resulted in negotiated solutions – parties ‘settled’ with each other rather than proceeding to prosecution: in a sample of 75 cases he recorded during a one-month period, only 2.6 per cent were charged to court. He found there was public support for this approach and suggested it should be recognised and encouraged. New measures are already being introduced that draw on Dr Owen’s findings, and he has been invited to participate in future conversations on the implementation of some of his other suggested reforms. The Inspector General himself has also reviewed his proposals and since asked national heads of departments to provide written responses to them. In addition, the DFID-funded policing assistance project Justice for All (J4A) has facilitated dialogues between Dr Owen and a Nigeria Police headquarters strategy team, and J4A itself has incorporated some of his work into their own training programmes for serving officers. He has also worked with Nigeria’s CLEEN Foundation, a civil society organisation working on justice sector reform and aimed at improving public safety and security, the Police Service Commission and the National Human Rights Commission, to protect the police from political interference. In 2015, Dr Owen won an ESRC Celebrating Impact Prize for his work, coming second in the Outstanding Early Career Impact category. 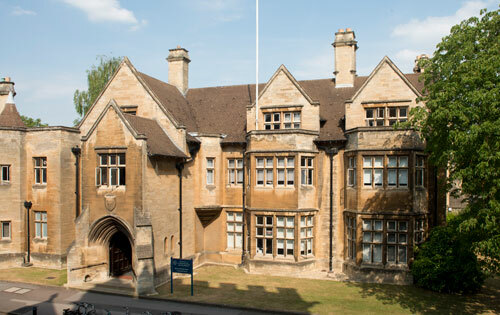 The project was funded by Oxford's ESRC Impact Acceleration Account.